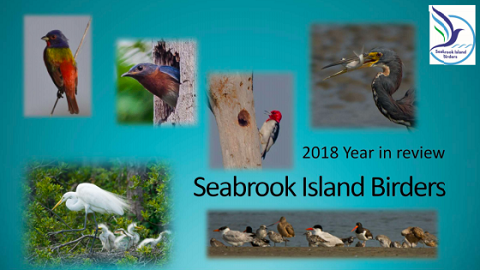 The first meeting of the Seabrook Island Birders (SIB) in 2019 started with a review of 2018. To see that presentation click here to view it on the SIB website. Seabrook Island Birders participated in the Christmas Bird Count on a foggy January 4. More information can be found on our web page.